The talk will discuss about PostgreSQL’s unique and powerful feature hdfs Foreign Data Wrapper, Procedure to follow to read remote file data in PostgreSQL. It will also discuss a brief explanation about the procedure to follow to enable hdfs_fdw data wrapper object. Attendees will also learn using PostgreSQL to access and manage the remote hive objects using Foreign Data Wrapper. Vijay is the database specialist & Cloudera certified Hadoop expert working in IT industry for last 6 years. 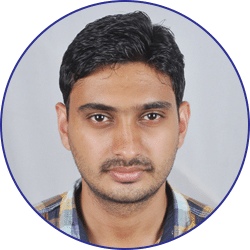 Vijay and his team works towards providing enterprise level and hadoop solutions.He has an experience in working on various databases and hadoop distributed system.